Welcome to Family Dental Health! 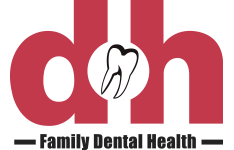 When you book at appointment at Family Dental Health, you’ll see one of our dentists, Dr. Harp or Dr. Dana. They’ve been serving Whitecourt and the surrounding areas for 11 years. Dr. Harp graduated from the University of Western Ontario’s dentistry program in 2002. Dr. Dana graduated from Dalhousie University’s dental program in 2001. Since then, they have continued their education by taking courses and attending conferences in order to keep up to date with the latest advancements in dentistry. Dr. Harp and Dr. Dana live just outside of Whitecourt with their four children. They are proud to be supported by a trained, certified staff at Family Dental Health. We also have a visiting certified orthodontist, Dr. Sharaf from Horizon Orthodontics, who comes to our office monthly. We have a new member to our dental team, Dr. Kabir Rakhra. He is our newest dentist, here to help all of our patients feel comfortable and well taken care of. For an appointment with our dental professionals, contact Family Dental Health today.